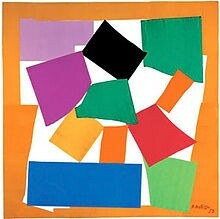 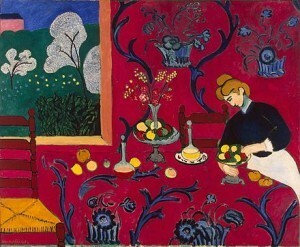 Henri Matisse is a French artist known for making colourful works of art. 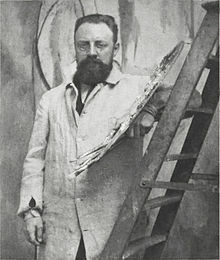 He used a variety of materials in his work, including oil paint, bronze and he would also make drawings using charcoal. 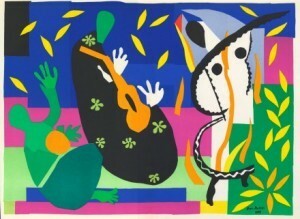 As Matisse became older, he began to work with brightly coloured paper and used scissors to cut out shapes, animals, leaves, dancers and flowers and then arrange them.